The show must go on, even if it'll go on later than expected. An overhauled "Fast & Furious 7" will hit theaters on April 10, 2015, almost a year after its previous July 2014 release date. And the late Paul Walker will be in it. 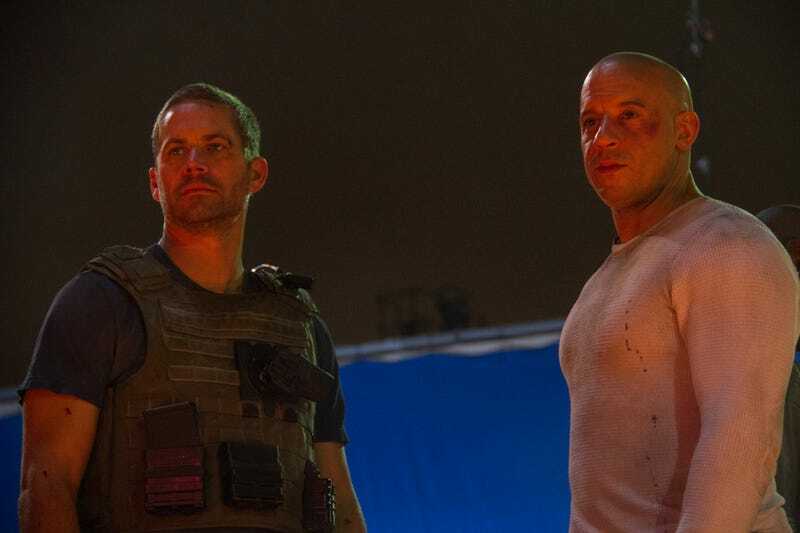 Walker's death led to some questions about the latest film in the franchise, but co-star Vin Diesel assured fans that the movie will still be released in a surprise announcement on his Facebook page. Diesel also shared a still, posted above, of him and Walker on set; it's "the last scene we filmed together," he writes. It's unknown just how much of the film has been re-done in the wake of Walker's accident — including scenes with his brother, reportedly — or if a planned eighth film in the franchise will continue production.